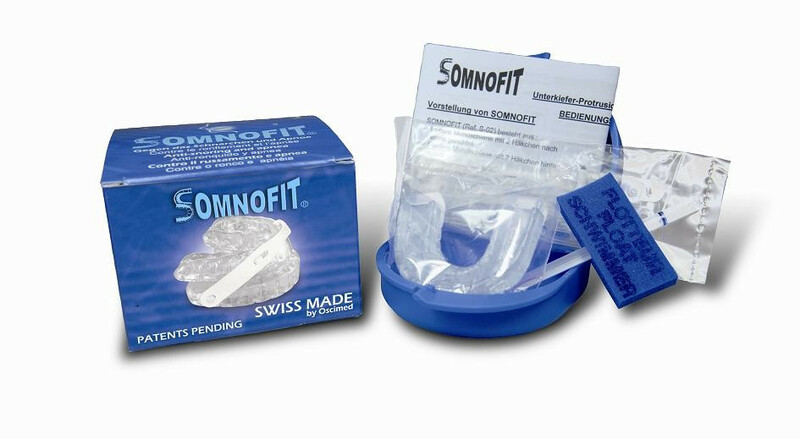 SomnoFit - Zweiteilige in Stufen verstellbare Schnarchschiene zur Behandlung des Schnarchens und der obstruktiven Schlafapnoe. 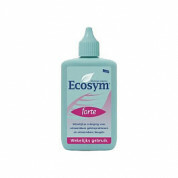 Zusatzbonus: Zusätzlich zu Somnofit erhalten Sie ecosym-Gel für die tägliche Reinigung! 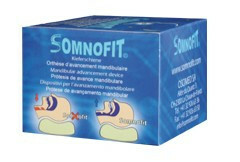 Während des Schlafs schiebt Somnofit® den Unterkiefer um einige Millimeter nach vorne. Diese bekannte medizinische Lösung wird die Unterkieferprotrusion genannt. Diese Protrusion hält den Bereich hinter der Zunge frei, damit die eingeatmete Luft die Luftwege frei passieren kann. Ihre Wirksamkeit wurde in zahlreichen klinischen Studien bewiesen. • Ausgewogener, gezielter elastischer Zug, der sich auf 18 bis 22 Zähne verteilt. • Keine schädigenden Spannungen auf Zähne und Gelenke. • Materialien entsprechen medizinischen und lebensmittelrechtlichen Standards. • Freie Beweglichkeit der Kiefer. • Anwendung neuester Forschungs- und Technologieergebnisse. Aufgrund der mit bereits vermarkteten individuellen Schienen (z.B. Silensor, in den USA vermarktet als "Silent Nite" und EMA, Elastic Mandibular Advancement device) vergleichbaren Funktionalität, insbesondere bzgl. der Einstellbarkeit des Unterkiefervorschubs, erwarten wir auch eine vergleichbare Wirksamkeit bei Somnofit. Nachfolgend finden Sie von den Originalpublikationen vorstehender Referenzschienen die Zusammenfassungen der Studienergebnisse. 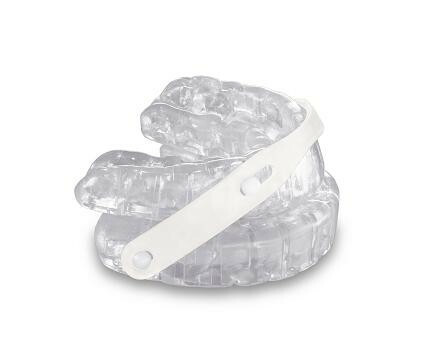 Oral mandibular advancement devices are becoming an increasingly important treatment alternative for obstructive sleep apnea (OSA). The first aim of the study was to determine whether a new oral elastic mandibular advancement device (EMA) prevents pharyngeal airway closure during sleep in patients with OSA. The second aim of the study was to determine if the polysomnographic response to the oral mandibular advancement device was dependent on the site of airway closure. Overnight polysomnograms were performed in 28 untreated OSA subjects with and without EMA. A third polysomnogram was performed in 12 of the subjects to determine the site of airway closure without the device. Site of airway closure above or below the oropharynx was determined by measuring the respective presence or absence of respiratory fluctuations in oropharyngeal pressure during induced occlusions in non-rapid eye movement (NREM) sleep. Mean apnea-hypopnea index (AHI) was 52.6 +/- 28.2 (SD) events/h without the device and 21.2 +/- 19.3 events/h with the device. Nineteen subjects (68%) had at least a 50% reduction in AHI with the device. The change in AHI with the device (AHI without device - AHI with device) was directly related to the AHI without the device. All three subjects with airway closure in the lower pharyngeal airway had a greater than 80% reduction in AHI with the device. Two of the nine subjects with airway closure in the velopharynx had a similar therapeutic response. The results show the effectiveness of EMA in the treatment of OSA. The results also indicate that polysomnographic severity of OSA and the site of airway closure should not be used to exclude patients from this oral device treatment. Henke KG, Frantz DE, Kuna ST. Published in: Am J Respir Crit Care Med, 2000, 161: 420 - 425. This prospective, randomized, cross-over trial was designed to compare the efficacy of a mandibular advancement splint (MAS) with that of nasal continuous positive airway pressure (nCPAP) in patients with obstructive sleep apnoea (OSA). Twenty-four patients (20 males and four females) with mild to moderate OSA (AHI between 10 and 49 events per hour) were enrolled in the study. Each patient used both MAS and nCPAP, with the initial therapy being allocated at random. Treatment periods lasted for two months with a two-week wash-out interval between. 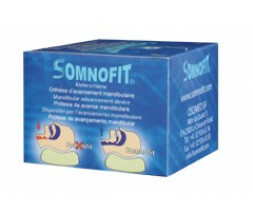 Polysomnography was performed prior to the study and after each clinical intervention. Patient and partner questionnaires were used to assess changes in general health and daytime somnolence. The AHI decreased from 22.2 to 3.1 using nCPAP, and to 8.0 using the MAS (P < 0.001 for both devices) and there was no statistically significant difference between the two treatments. The Epworth Sleepiness Score (ESS) fell from 13.4 to 8.1 with nCPAP, and to 9.2 with MAS (P < 0.001), again with no differences between the use of MAS or nCPAP. The questionnaire data showed an improvement in general health scores (P < 0.001) after both treatments, but daytime sleepiness only improved significantly using nCPAP (P < 0.001). Despite this, 17 out of the 21 subjects who completed both arms of the study preferred the MAS. The splints were well tolerated and their efficacy suggests that the MAS may be a suitable alternative to nCPAP in the management of patients with mild or moderate OSA.